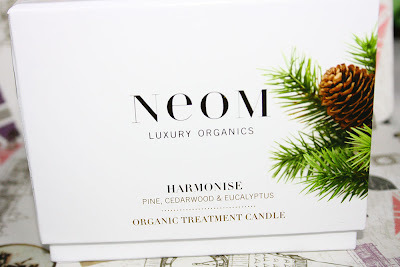 Neom, the home of Luxury Organics has supplied a lovely Pine, Cedarwood and Eucalyptus Home candle worth £39.50 for one of you lucky people to win! 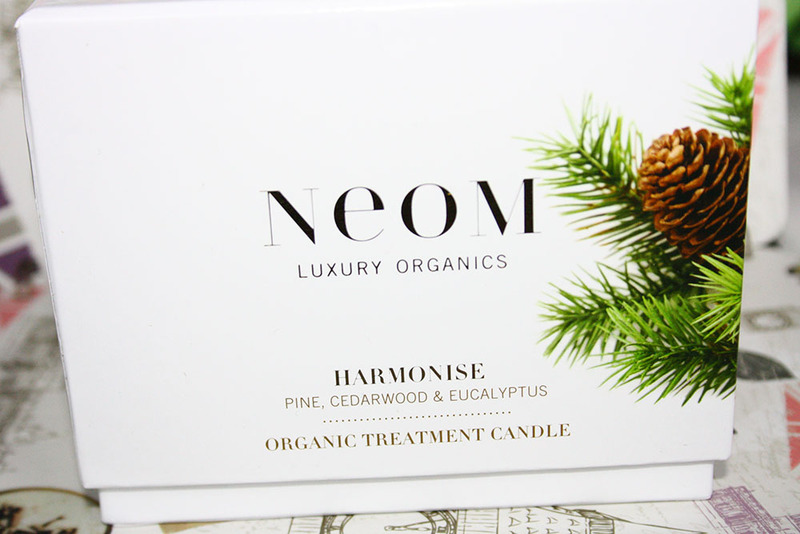 The candle smells absolutely delicious, the Pine and Cedarwood make me feel like i'm relaxing in a log cabin with a roaring fire. But without the mud, hiking and....yea. 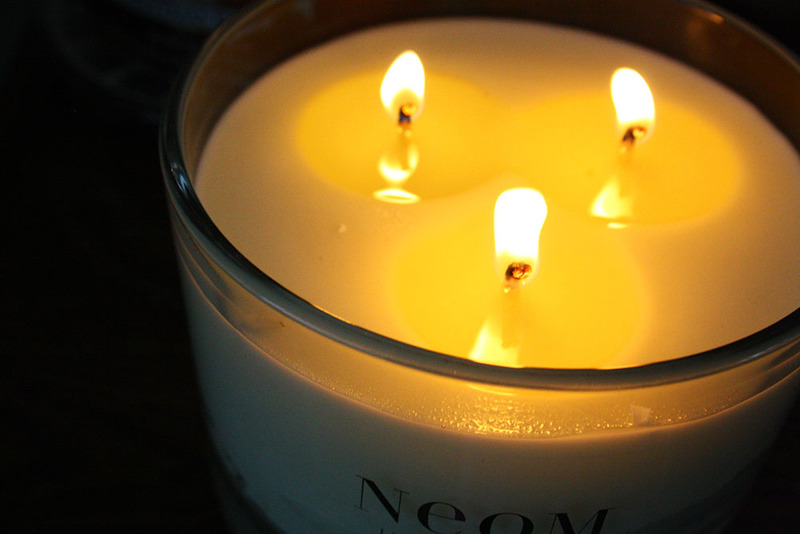 It's a really homey smell that fills the whole room and you can still smell even when it's not lit. 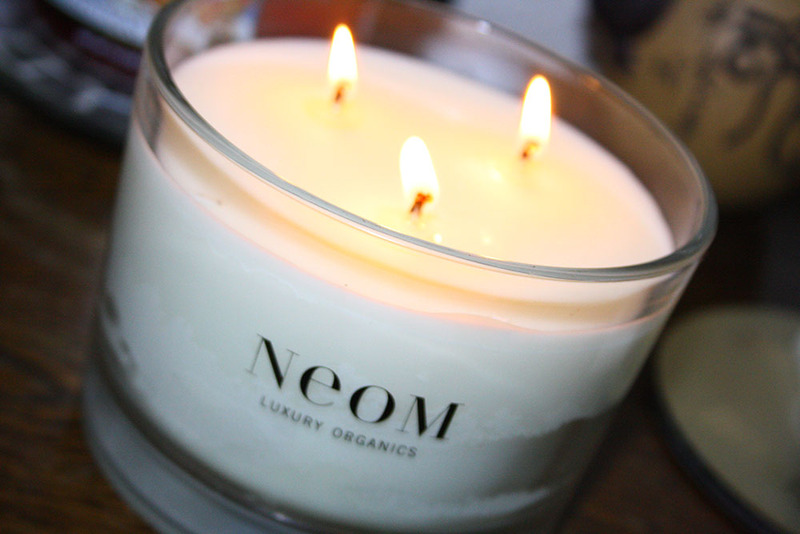 It has 3 wicks and burns for up to 55 hours -30% longer than a standard premium candle. -Follow my blog using GFC. -For an extra entry follow me on Twitter. "My favourite smell is fresh cut grass. I follow your blog. I follow you on twitter. I like you on facebook." -You must be over 18 OR have parents permission to enter! -Entry closes 2nd September 2012. My favourite smell is ... well I don't know. I love my new perfume and that's apparently smells of jasmine. My favourite smell is chocolate, cause well, I just love chocolate! Thanks for such a fab giveaway! I have followed your blog via GFC! :-) the FB link didn't work? My fav smell is summer scents, something exotic like orchid or the Elemis Frangipani range that always makes me think of somewhere like Hawaii! Great giveaway! My favourite smell is apples.. mm.. I follow your blog on GFC and I've followed on twitter! My favourite smell strawberry smell so good . I follow your blog. I follow you on twitter. I like you on facebook. My favourite smell is a of freshly cut fruit, coconuts, apples, mango, instantly makes me happy.. I follow your blog. I follow you on twitter. I like you on facebook." "My favourite smell is plumeria because it reminds me of beautiful Hawaii. I follow your blog. I follow you on twitter. I like you on facebook. Whoop! Whoop!" My favorite smell is coffee.Coffee anything.I follow your blog.I follow your twitter.I've liked you on facebook. My favourite smell is melon. I follow your blog. I follow you on twitter. I like you on facebook. My favourite smell is lemongrass. I follow your blog (Lubaska). I follow you on twitter (@mejlik). I like you on facebook (Lubka Kotmanikova). My favourite smell is coconut. I follow your blog. I follow you on twitter. I like you on facebook. I'm not sure I could pick a favourite scent! I'm a total rose addict but also love ylang ylang, jasmine, mint, hyacinth... It really does depend on what mood I'm in! My favourite smell is Pine. I follow your blog. I like you on facebook. My favourite smell is Vanilla. I follow your blog. I like you on facebook. My favourite smell is lemongrass. I follow your blog. I like you on facebook. My favourite smell is cherry. I follow your blog. I like you on facebook. My favourite smell is coconut. I follow your blog. I like you on facebook. IF YOU DONT GET BACK TO ME BY THE 7TH I'LL HAVE TO PICK ANOTHER WINNER SORRY! My favourite smell is Eucalyptus Home. I follow your blog. I like you on facebook. My favourite smell is Cedarwood. I follow your blog. I like you on facebook.